Ever feel like the city has become more crowded within the past few years? 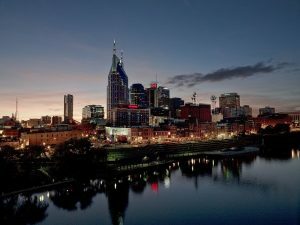 Well it could be because Nashville reeled in a record-breaking 13.9 MILLION visitors in 2016 alone! That’s an additional 400,000 people from the numbers collected in 2015, and a 45% increase within the last decade! With all of these visitors, our hotels might have benefited most out of everyone, with another record of 7.3 million rooms booked in 2016. Mayor Berry said she believes that the investments in the tourism industry are paying off, and we couldn’t agree more. Read more here.